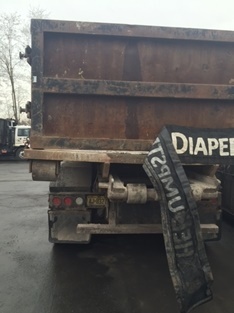 Dumpster Diaper found that the problem is the gap. The debris, leaking from the gap in the dumpster and truck body doors, can expose fleets to unnecessary risk and hassles. Instead of managing operations and turning a profit, time is spent on damage control – replying to inquiries and chasing down details while insurance premiums rise.